MILAN — A measure in Italy's 2019 budget law will allow the local government in Venice to charge day-trippers for access to the city's historic center as a way to help defray the considerable costs of maintaining a popular tourist destination built on water, the mayor said. 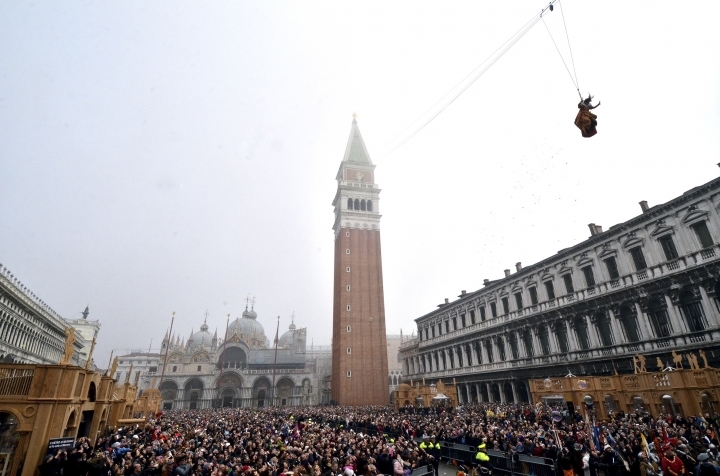 Venice Mayor Luigi Brugnaro said late Sunday on Twitter that the new visitors' tax would "allow us to manage the city better and to keep it clean" and "allow Venetians to live with more decorum." The City Council will be responsible for setting the charge and determining the collection method. 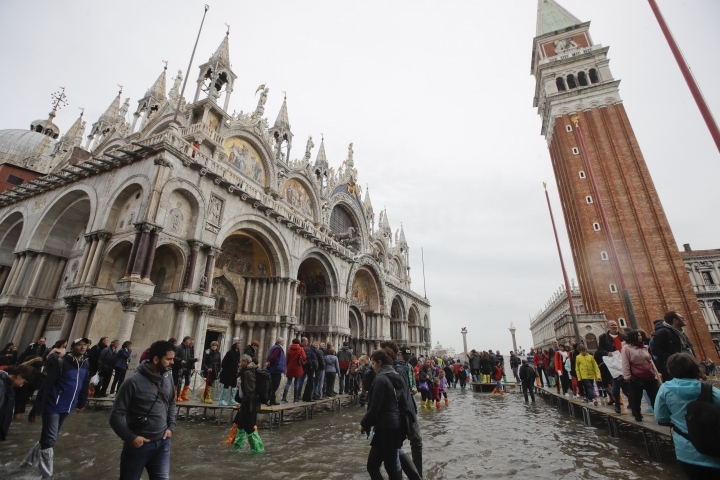 The mayor's office said it would vary from 2.50 euros to 10 euros per person, with exemptions for students, people traveling briefly to Venice for work or business and regional residents. Overnight visitors will not be assessed the new levy. They are currently charged a small "stay" tax per night that varies according to such criteria as season, location and the ages of guests. Official estimate that as many as 30 million people visit Venice each year, with about one-fifth spending at least one night in the historic center of the city, which excludes islands in the lagoon and a mainland. Brugnaro said the substantial cost of cleaning and maintaining security has so far been paid "only by Venetians." Many natives have been forced to the mainland due to the high cost of living, and the huge influx of tourist also from cruise ships has contributed to wear and tear on the delicate architecture, which also endures frequent flooding caused by high winds. City officials emphasized that the cost of maintaining public buildings in Venice's historic center is one-third higher than on the mainland due to materials having to be brought in by boat and sometimes taken on hand-carts through the city's narrow mazes of streets. Cleaning also must be done by hand. The extra funds also will cover security costs, including the deployment of 150 local police officers every Sunday and the 350 officers on duty for holidays like New Year's Eve and Carnival, and to erect walkways during periods of flooding. The mayor of Florence, another Italian art city struggling with over-tourism, called for a law that would allow all major Italian tourist destinations to assess visitor fees. "Florence and the other touristic cities are not less-deserving," Italian news agency ANSA quoted Mayor Dario Nardella as saying. "This is a norm that discourages hit-and-run tourism, which creates problems and inconveniences in the city without being counterbalanced by positive effects." Florence now can collect a maximum of 5 euros a night from overnight guests, according to the mayor. 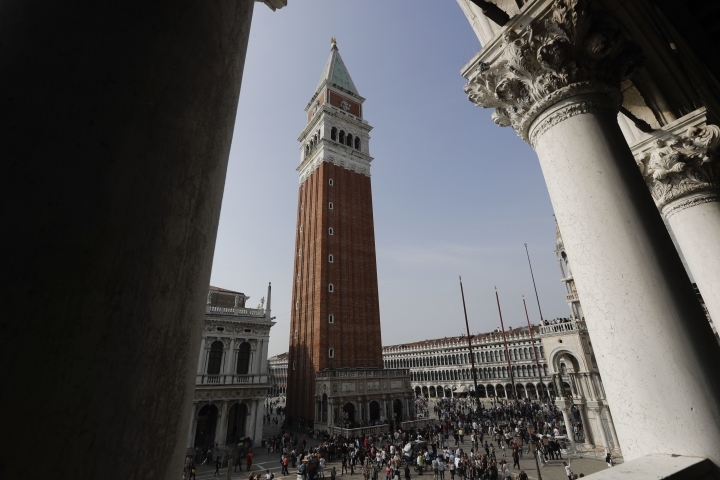 Nardella said he was also disappointed that the authorization Venice received does not address the use of private residences as tourist lodgings, which he said "is threatening the residential nature of the historic centers of all the Italian art cities."